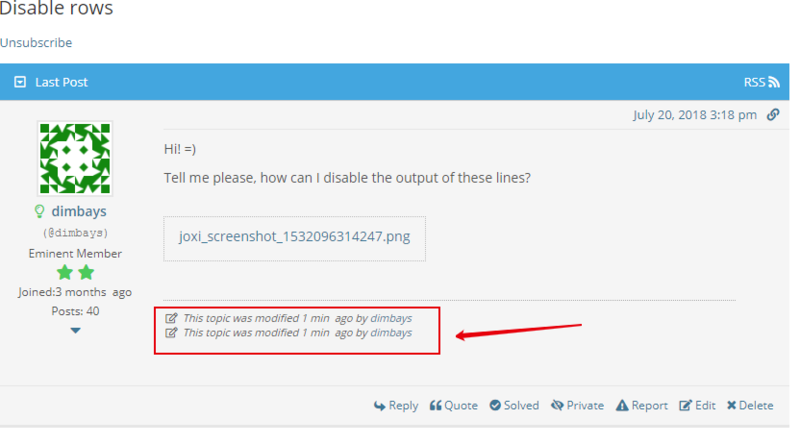 Tell me please, how can I disable the output of these lines? Yes, I knew this way, thank you! You can also hide this using according options located in Dashboard > Forums > Settings > Topics & Posts Tab. Great, what I was looking for!